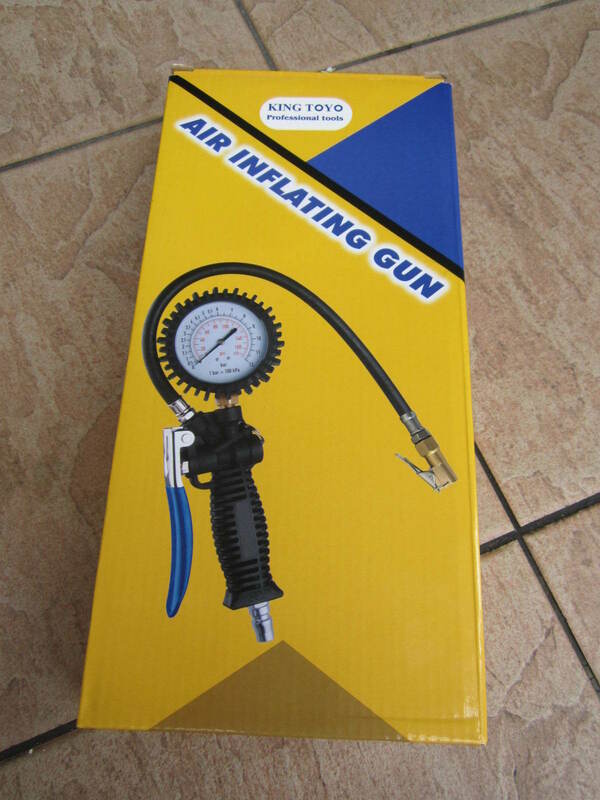 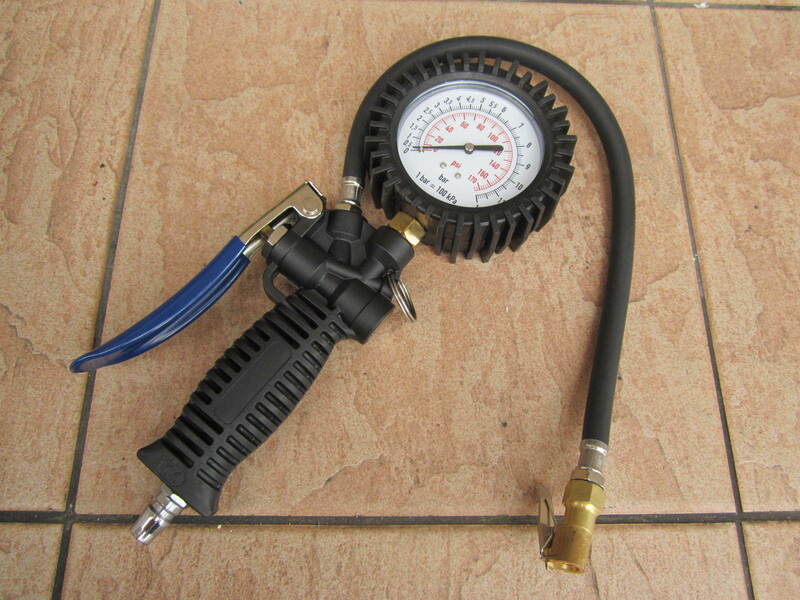 King Toyo Tyre Inflating Gun With Manometer 1/4 BSP.. 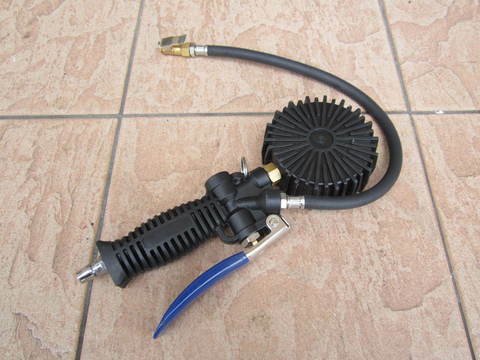 The King Toyo professional tyre inflator is specifically designed for professional applications and those serious enthusiasts who require a reliable easy to use professional tyre inflator. 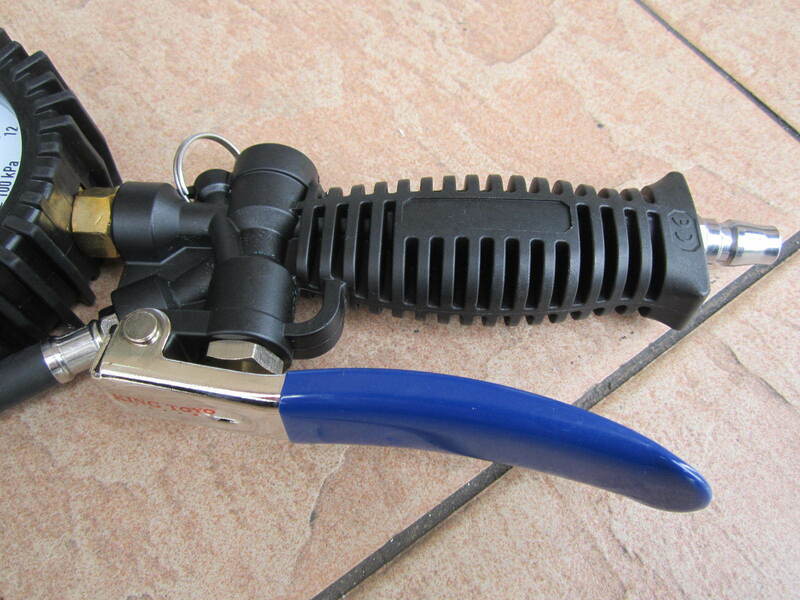 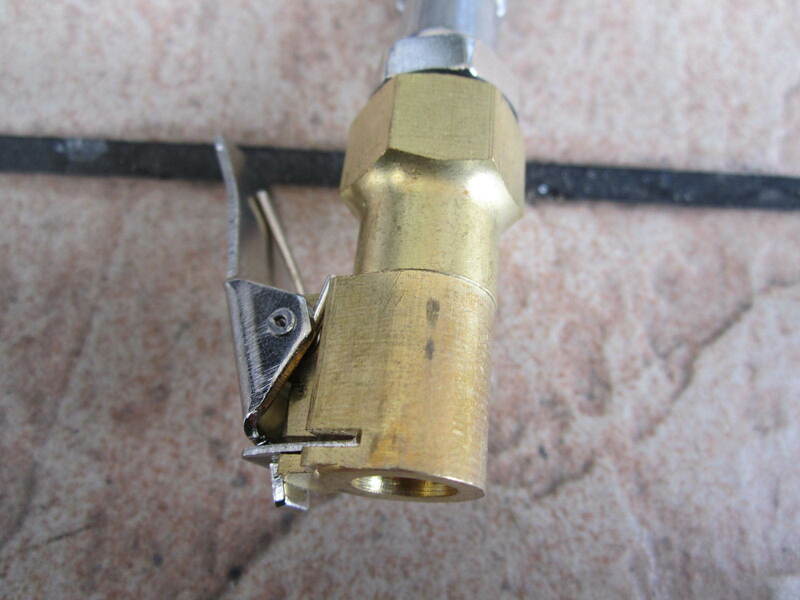 Simple to use and comfortable to hold, it is supplied with a 330mm long rubber inflation hose with standard clip on connector and in built deflation function. 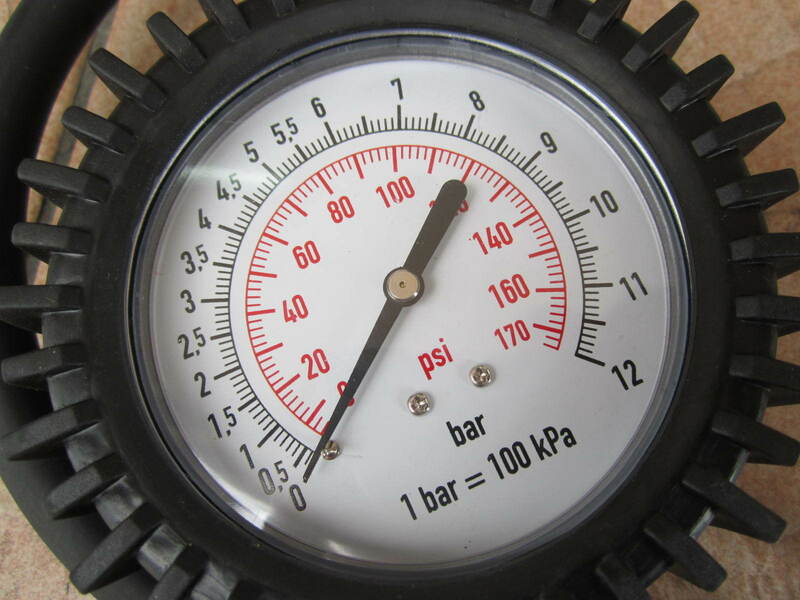 Fitted with a very clear easy to read pressure gauge. Fitted with Uni Quick coupler fit adapter. 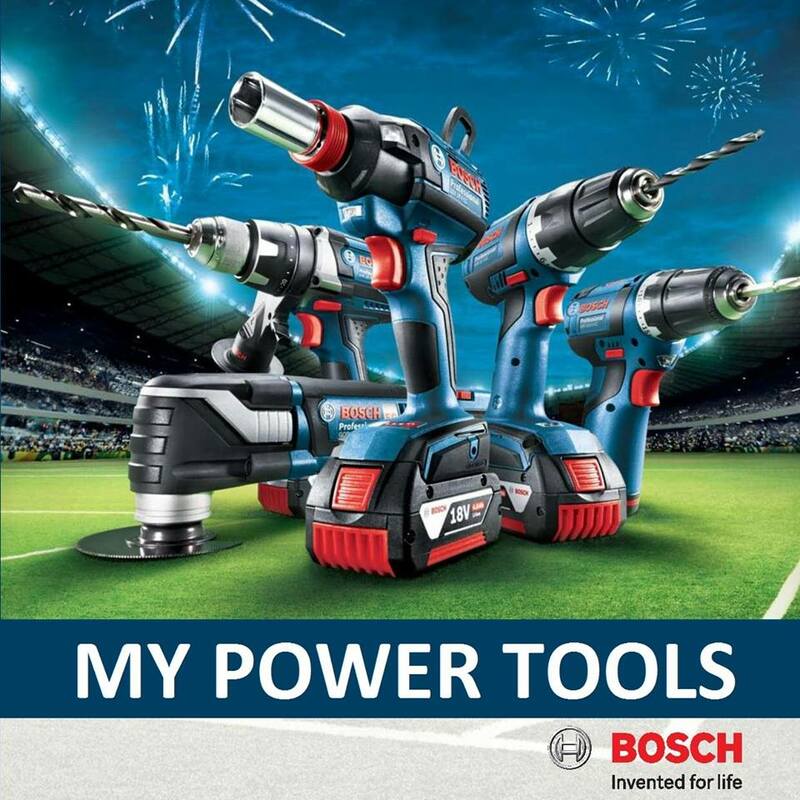 PRICE RM120.00..(King Toyo Premium Auto Tools)..